Your liver plays a vital role in the digestive system of your body. All your foods pass through your liver. Eating a healthy and balanced diet is essential for your liver health. Your liver is an important organ for your body that keeps you healthy. It breaks down fat in the small intestine during digestion, helps your body to detox, carry away waste and also acts as a filtration system for your bloodstream. Keeping your liver healthy is essential. You need to watch what you eat and what you put into your body, especially if you are already suffering from liver diseases. You can protect your liver from diseases just by choosing the right kinds of food. Some foods will cleanse and detox, others will energize your body, boost your immune system and help you maintain a healthy liver. Many of us overtax our livers by eating fast foods, fried foods, foods with additives and also by exposing ourselves to polluted, toxic environments. You can keep your liver clean, healthy and functioning well just with foods. If your liver is weak or you have a sickness of the liver, you should be extra careful of what you eat. Below are 7 superfoods that clean and boost your liver health. 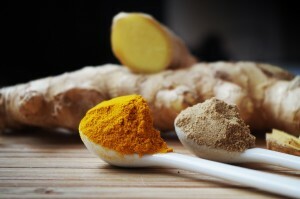 Turmeric is a well-known immune boosting spice that helps in digestion. It also acts as a natural stimulant that detoxes your liver. Just like broccoli, eating cabbage helps in detoxifying the liver by stimulating two of the essential liver detoxifying enzymes. Kimchee, sauerkraut, coleslaw, and cabbage soup are excellent for flushing out toxins. Any kind of citrus fruit is high in vitamin C and antioxidants. Drinking lemon, lime and citrus juices will help you flush out toxins. You can also add tangerines and grapefruits to your list. Green tea is an antioxidant-rich beverage that repairs and rejuvenates your cells. It also protects your body against damage. Avoid sugary, carbonated and alcoholic beverages; instead, prepare your own beverage with green tea, lemon, ginger, and honey to supercharge yourself. Roots like beets and carrots are high in plant-flavonoids which are awesome for boosting your liver health. They are also high in beta carotenes that stimulate and improve your overall liver function. 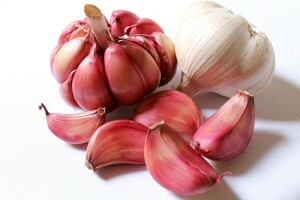 Garlic is a strong antibiotic and also a strong antioxidant. It helps you fight high blood pressure. “It has high amounts of allicin and selenium, two natural compounds that aid in liver cleansing” says holistic nutritionist Hermeet Suri. Green leafy vegetables, such as spinach, kale, broccoli and dark lettuce, contain a wide variety of the essential vitamins, antioxidants and micronutrients your body needs to cleanse and detox. You get a good supply of folate, calcium, potassium, fiber and a group of compounds called phytonutrients from leafy greens. They also contain high levels of vitamins A, C and B-6 and also riboflavin, iron and magnesium. We often put our liver under unnecessary stress by eating processed and junk foods. Try to cook your own food, add spices to them and try to include these superfoods as part of a balanced diet. They will surely help you maintain a healthy weight, help with digestion and reduce toxins, lower your body fat and cholesterol, all of which will benefit your liver. P.S: To learn more, please read our blogs regularly. Also, join us on our weekly webinars where you may ask any health questions you have. Click here to see our next scheduled webinar where we interview experts on the health topics that matter to you!